There are so many parts of our day as parents that have become routine. From breakfast, saying good-bye as mom or dad heads off to work, to playing outside and painting at the dinning room table. 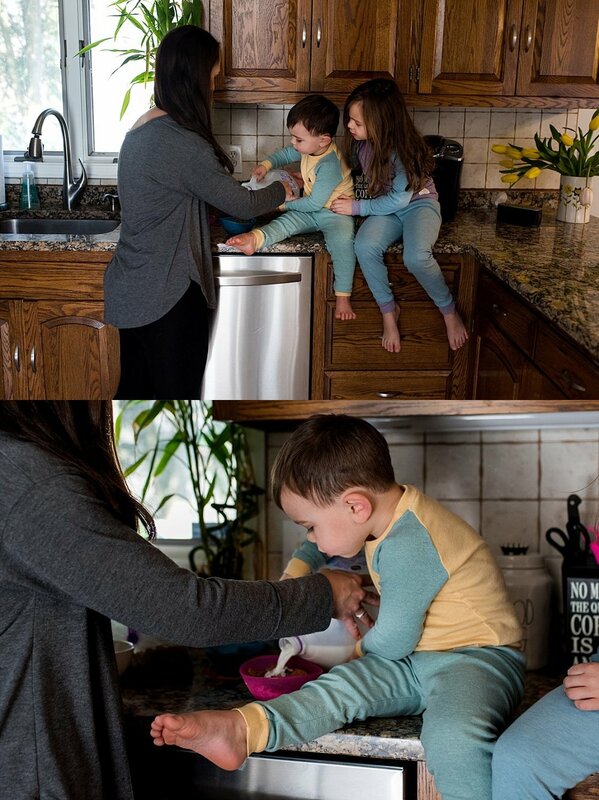 But these same routines are the moments that make up our children’s childhood. These are the building blocks to who our children will become when they are older. They aren’t mundane moments, they are the moments your kids will look back on and recall as some of the best moments of their live’s. How wonderful it would be to gift them the opportunity to look back at their childhood memories through family photographs, with you in the frame right alongside time. I simply adore capturing families being themselves. The silly quirks. The moments captured that when you look back on your images even years down the road you remember that exact moment. The look your son gave you at 3 years old, that at 16 he still gives you from across the room. After the kids helped to make breakfast it is was off into the playroom for some sibling fun! Little W was very excited to show off his camera skills with his toy camera. Stilling hanging strong in those cute PJs we walked Daddy out the door to say goodbye before he headed off to work. Check out those silly faces! Early morning painting anyone? W helped his Mama get the paint together while big sister was waiting eagerly at the table. S could have painted for hours it seemed. She was totally soaking up the time with her Mom. Now it was time to get out of those PJs, dressed for the day and head outside for scooter riding and hopscotch in the driveway. These two rode their scooters like pros up and down the street of their neighborhood. After a full morning of sunshine and loads of family moments, it was time to head back inside for a snack of fresh fruit. 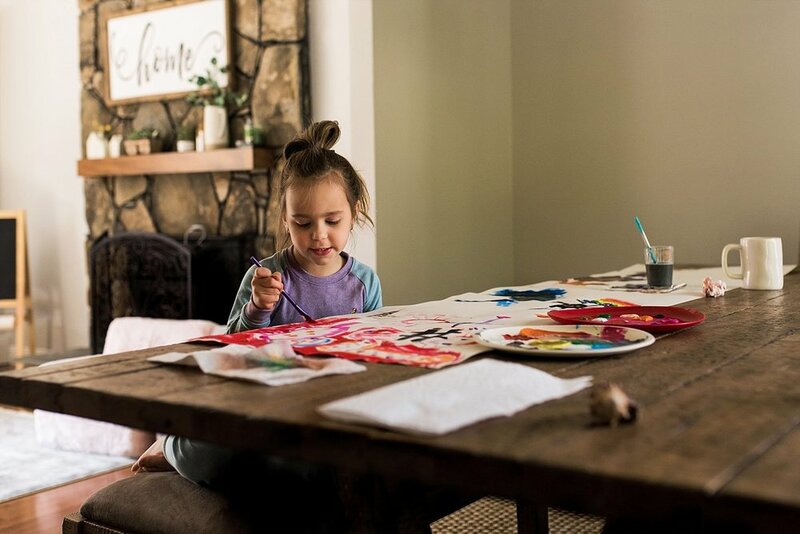 CT child photographer, Rebecca Lynne Photography captures natural and candid family photography throughout all of Connecticut. Including New Haven County family photography, New London County family photography, and Fairfield County Family photographer.